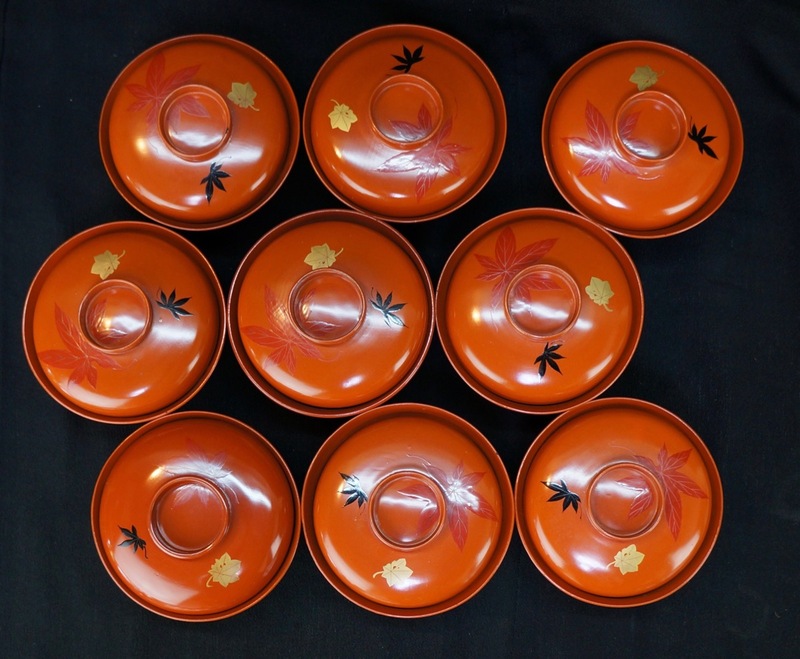 Owan Japanese lacquered wood Miso cups 1950s Nurimono Japan craft. 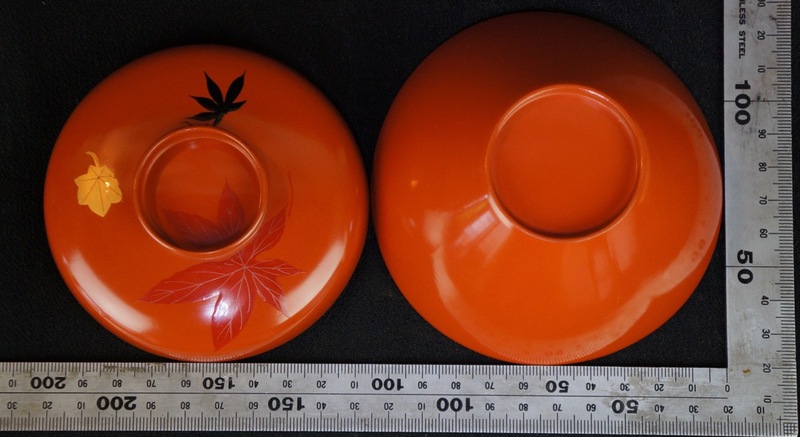 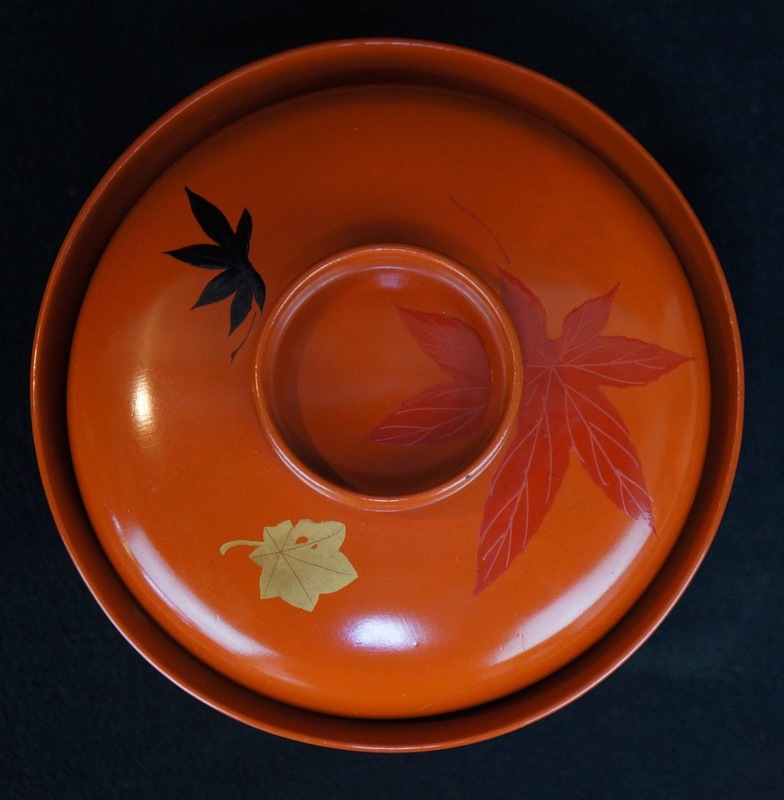 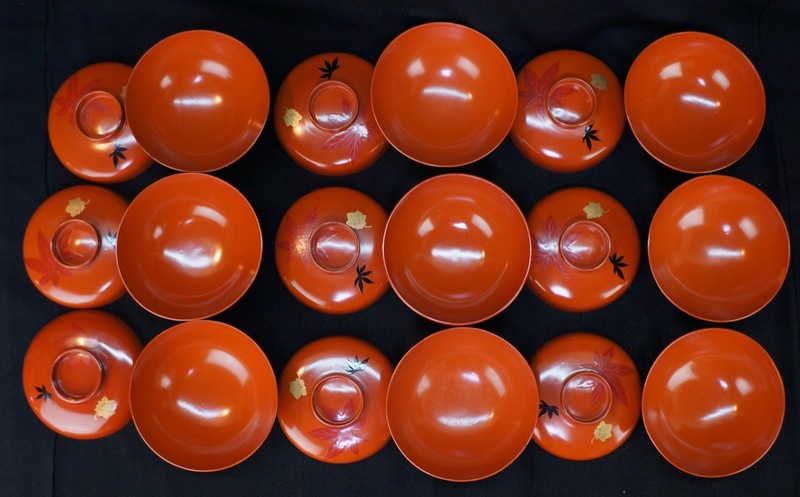 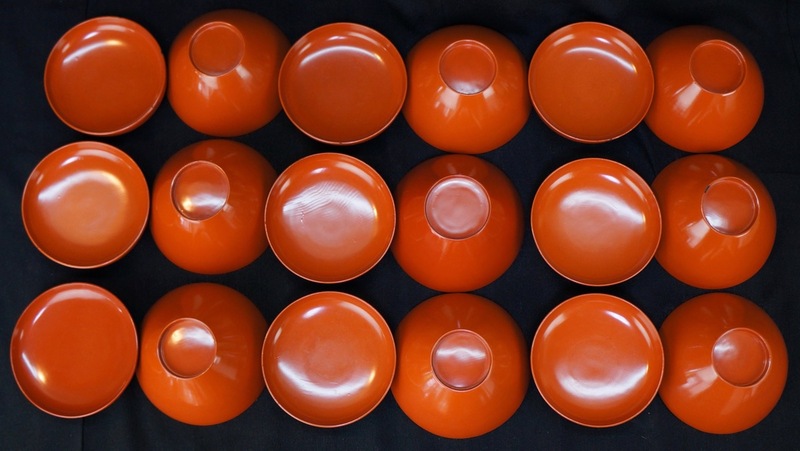 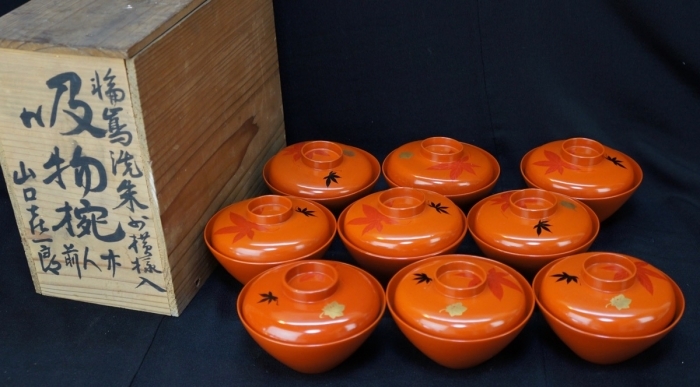 Nice quality set of 9 lacquered wood cups, decorated with lacquer Maki-e leafs, all immediately usable, light wear marks. 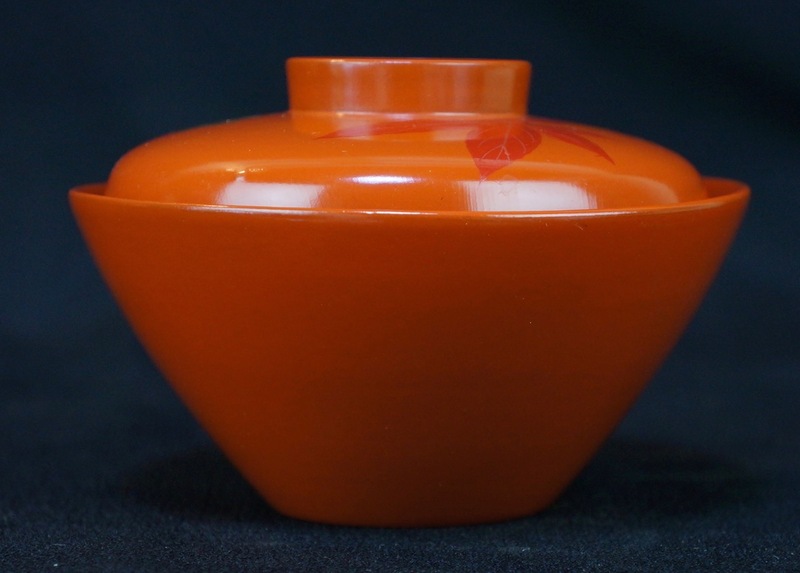 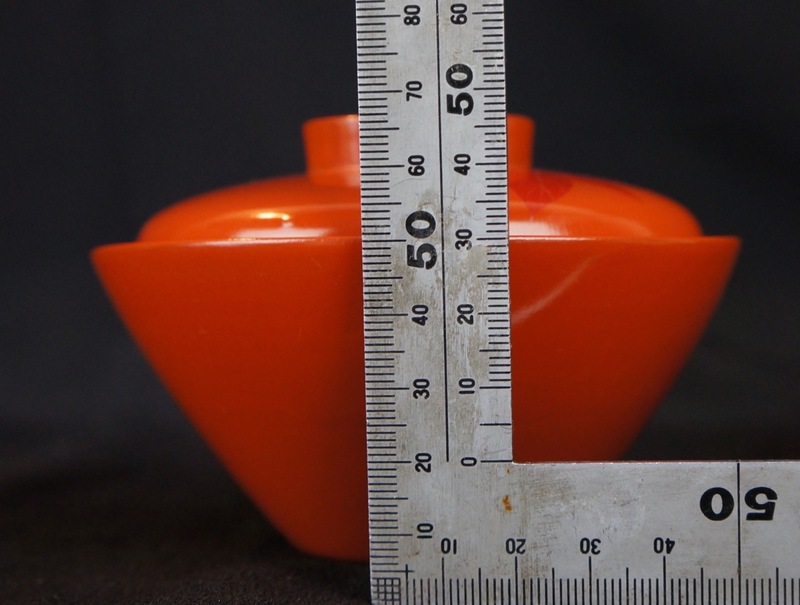 Dimensions: cup Diam 10.5 H 7 cm, single cup weight 0.080 Kg + wrapping.